The lips are the centerpiece of your face and are an important indicator of aesthetic beauty. As women and men age, their lips lose their fullness resulting in thin, flat, deflated lips. Don’t let the decrease in natural collagen production age you. Lip Enhancement has come a long way since paraffin and silicone injections. Over the last 10 years advances in technology have resulted in more effective and patient-friendly Lip Enhancement procedures. Edgewater and Hoboken women have been adding back that lost volume with non-surgical Lip Enhancement procedures performed at Edgewater and Hoboken Cosmetic & Laser Centers. How can the Edgewater and Hoboken MedSpa help me with Lip Enhancement? Medical director and an expert in cosmetic injections, Dr. T.G. Khan possesses the knowledge, ability, and vast experience to recommend the perfect procedure for your Lip Enhancement to give you beautiful, smooth, full, and younger lips. Injectable fillers that contain hyaluronic acid, such as Juvederm® and Restylane®, are the preferred treatment for adding volume to lips by Dr. T.G. Khan and his fellow cosmetic surgeons worldwide. Since hyaluronic acid is a naturally occurring substance in the body, there is no risk of allergy associated with Juvederm and Restylane and no skin testing required. It is a soft, malleable gel-like substance that provides excellent lip-border definition, enhances fullness of the body of the lip, and provides that pleasing smoothness and poutiness you always wanted for your lips. Dr. T.G. Khan is highly skilled at administering anesthesia and using very tiny needles to inject Juvederm and Restylane into the very sensitive lips. The procedure takes about 10 minutes and there is no pain nor downtime. The instant results last from six months to one year, making this a hugely popular procedure with Edgewater and Hoboken women and men. How do I get Lip Enhancement at Edgewater MedSpa? 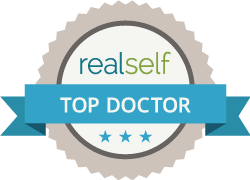 Find out why Edgewater and Hoboken women and men turn to Dr. T.G. Khan again and again for all their cosmetic injection and laser treatments. Call Edgewater and Hoboken Cosmetic & Laser Centers today at 201.313.8899 to set up an initial consultation. With over 10 years of experience in the aesthetic specialty field, Dr. T.G. Khan will recommend the Lip Enhancement procedure to fit your exact individual needs. Your lips will be happy you called.